IN ALL THREE of my books, I have been careful to be forthright that the books are not offered under any pretense of being objective works. 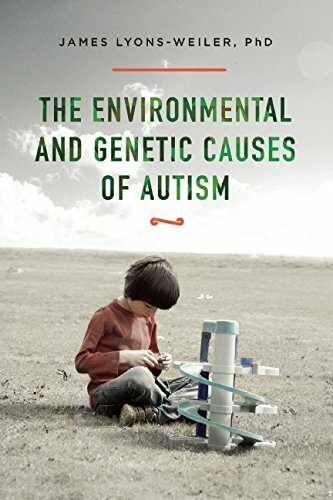 The least objective of my three books, “The Environmental and Genetic Causes of Autism” is specifically and intentionally biased because it was written with the intention of bringing forward the research ignored by CDC when they cherry-picked their sad lot of poorly designed, underpowered, over-analyzed retrospective studies that failed to detect association between vaccines and autism. As an author, I can expect detractors, and critics. And I welcome rational criticism pretty well: in fact, I find insightful review to be an essentially important part of science. Free and open discussions on the basis of studies, the assumptions, the known connections, the background knowledge, the data, the results, the interpretation, possible biases are all critically important topics worth debating in any study under peer review. Criticism of subjectivity can also be levied against a review if it is represented by the authors as unbiased. However, if an author specifically identifies their own book as subjective, and especially if such a book exists specifically to undo subjectivity falsely represented as objectivity, the criticism “it’s subjective!” rather loses its punch. 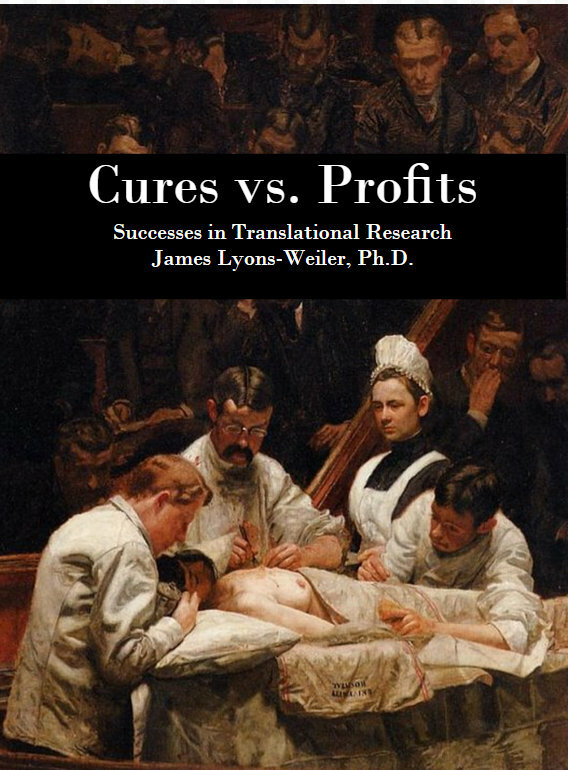 Now, I’m going to double-down on the truth: my book written after close review of 2,000 studies, and based on closer reading of 1,000 studies, is subjective. It exists specifically because I had the specific intention of setting the record straight. But no. The teachable moment was, I’m afraid to say, utterly lost on Dr. Gallagher. Here is Dr. Gallagher’s Amazon review, unedited, with my comments [in brackets]. “I’m a Pediatrician who’s active on twitter and was sent this book as a challenge to my advocacy of the objective science regarding vaccination. I accepted this challenge – as a physician, it’s a disservice to ignore supposed evidence pertaining to your patients. Having been told this book described a summary of over 2,000 sources, I was a little nervous prior to starting. I’m young and am early in my career – I certainly don’t know everything. It’s written by a geneticist (a scientist who studies genes.) Scientists are supposed to be objective, right? Well, the author gives a shout-out to Robert F. Kennedy Jr. right in the dedication. Having recently issued a $100,000 prize to whoever can prove vaccines are safe (which they already have been,) RFK Jr. is a public and vocal critic of vaccination. The entire preface is an impassioned plea rehashing many common claims made by the anti-vaccination community. I asked the author about this on twitter and he said “give me credit – in all three books, I make clear they are not objective.” Fine. But, he tossed aside his greatest strength in this emotionally charged topic: his objectivity as a scientist. He also wrote to a follower “it’s up to him…,” me, “…to either accept the reality of objective research.” I’m not convinced one can be not objective and objective simultaneously. And, it’s disingenuous to claim both. As a scientist, the author certainly writes like one. He off-handedly mentions a multitude of scientific concepts without explaining what they are or why they’re relevant. I majored in biology in college and attended medical school. Even I sometimes found myself struggling to keep up. How can those without a scientific background hope to understand the case the author makes? What isn’t vague is the loaded summary statements littering the pages. They’re typically tucked in as conclusion sentences after jargon-loaded paragraphs, as if to suggest the conclusion is self-evident based on the preceding information. Well I read, and re-read, multiple passages like this and couldn’t see why he found these conclusions so obvious. It’s dangerous for an objective scientist to draw premature/unfounded conclusions. And, when one isn’t objective, you can’t be sure they aren’t misrepresenting data to fit an agenda. As the author told me, his book isn’t objective. But science itself IS objective. I know that’s true. So, I continued reading. The crux of the author’s claims is that the cause of autism spectrum disorder (ASD) is largely environmental in nature. The foundation on which the author builds his claim is a single pedigree (genetic family tree) describing the spread of ASD within a single family: the ASD in this family is all in the more recent generation. He doesn’t mention that the source he cites covers just one family, instead calling this distribution of ASD “typical.” It’s a leap to conclude something common based on one instance of it. But, as the author told me, his book isn’t objective. With regards to citations, there aren’t 2,000 of them in this book. Granted, it’d be unfair to expect someone to cite 2,000 sources in a book. Then, it is also unfair to refer to this book as “objective science” if it doesn’t consistently cite its sources (as objective science does.) It shouldn’t be up to the reader to go to the author’s website to comb through the comprehensive source list and try to figure out what backs up each of the claims made. As such, the list of sources only serves to impress those who trust the author to have read them and to have included information from each in his book. That’s hard to believe in a book whose author claims isn’t objective. [I invite the readers to please see envgencauses.com to see the studies for yourself. Armed with the knowledge of they whys and hows “Causes” was written, you won’t be surprised that I do not spend time taking fudged data, biased studies, underpowered studies etc. at face-value. Thus, CDC’s “dozens” (which are really only 5, because IOM rejected 17/22 studies CDC brought forward as flawed), already having been reviewed and promoted by CDC, did not qualify as “science ignored by the CDC”. I’m not sure Dr. Gallagher understands the premise of “Causes”; he’s looking for “Fair and Balanced” in a book clearly defined, by its author, as “setting the record straight”. But subjectivity in vaccine safety research ABOUNDS. CDC subjectively decided to omit the positive association results in the DeStefano et al. (2004) study; according to Dr. DeStefano, they were excluded because they did not believe they were real (see his interview with Sharyl Attikisson). They subjectively decided to work for four years to find a way to make the association discovered by Dr. Verstraeten go away. Those involved in the Madsen et al. study subjectively decided to overfit their model by using highly collinear variables – and by failing to show any interest in the interactions. These subjective studies are not science. [Dr. Gallagher should not be surprised; the lack of a so-called ‘slam-dunk’ genetic cause of autism is not for the want of trying. It is very clear that there are few true ASD risk alleles. Importantly, that is not to say they do not exist. They are just so rare that they chances of them being found in the same person is vanishingly small. These observations are based on the genetic studies conducted to date. There are also ASD phenotype modifier genes that would have contributed to a person’s phenotype, without ASD diagnosis, were it not for environmental toxins. Most of the genes found to date, however, are clearly (to me anyway; ahem, based on my subjective understanding of molecular biology, genomics, pathways, etc…), environmental susceptibility loci. Like an objective interpretation of objective science, what also can’t be found in this book is any reference to the evolving definition of ASD. ASD, autism spectrum disorder, hasn’t always been called ASD. It hasn’t always been considered a spectrum (a wide range of variations on a single condition.) It used to just be called “autism” with only the more severe cases receiving a diagnosis. As our understanding of the condition has grown, so have the number of diagnoses. Throw in an explosion of the number of developmental-behavioral pediatricians, the specialists trained to diagnose ASD, and you can account for the increase in cases. Even if one doesn’t believe this to represent 100% of the increased incidence of ASD, any reasonable person would conclude it would have at least SOME responsibility. As the author told me on twitter, this book isn’t objective. This book represents another entry in the long line of so-called “objective” works that are anything but. It will only serve to cause further confusion to well-meaning parents who want to do what’s best for their children. Believe me; if vaccination were the root of all evil, it would bear out in actual objective scientific study, not just one non-objective author’s interpretation of it. And, we would toss our vaccines in the trash. As such, it hasn’t been born out in actual objective scientific study. Thank you for this. Surely, if he is a pediatrician, he has seen vaccine injury in his own patients. Perhaps he is in denial. Objective denial? Doctors are not scientists. In fact they tend to be liberal art majors. They jam and cram and memorize to pass exams and then they go through this weird hazing ritual and are set up with mentors who really teach them everything they know. Awesome work, James. Keep whacking through the rainforest. One day there will be a clearer path. Hey James, the confusion seems due to science actually not being objective, and most ‘defenders’ of objectivity in science don’t actually realize that the human mind just cannot be objective. The data may be fact, but the interpretation, by us, has to be subjective. We move forward with the best subjective interpretation of the data. that moves the field and society. This has always been the case. You can give the young pediatrician some credit for his curiosity, and for actually reading the book. If he were older, more entrenched in the establishment view and a fear of reprisal from the AMA, he wouldn’t have bothered. I hope he will at least think twice before piggybacking vaccines on his tiny vulnerable patients with a lifetime ahead of them. Perhaps he will spend a few more minutes on informed consent. Small incremental victories. It’s interesting that the doctor also does not disclose that he is paid quite a bit of money if a large majority of his patients are vaccinated on schedule, which by definition would make him very subjective. It doesn’t take a lot of objective research to discover that vaccines aren’t rigorously tested at all, and that the pharma mafia actually controls almost everything in the mainstream medical world. Then again, he’s been brainwashed in medical school NOT to look for and treat causation, but to treat symptoms with drugs.